As you install more and more apps on your Android, you may become concerned with the data that some apps may share while running in the background. The more syncing and sending of data that happens in the background, the more rapidly your battery gets depleted. You can choose to turn background data on or off with these steps. 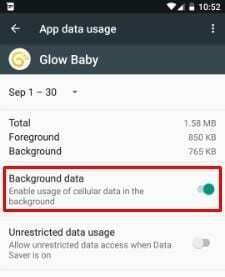 For Android 7.0 (Nougat), there is no way to set background data on or off of all apps at once. It has to be set for each individual app. From the Home screen, tap the app slider, then open “Settings“. Select the app you want to limit background data on. Toggle “Background data” to “On” or “Off” as desired. Tap the “Menu” icon located at the upper-right corner. Select “Restrict background data“, then tap “OK” to turn background data off. If already disabled, the option will be different where you can select “Allow background data” to turn background data on. 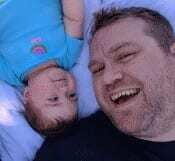 I disabled background data, but why are my background apps still exchanging data? This setting only applies to the wireless data network, not Wi-Fi. You can turn Wi-Fi off while the device is sleeping under “Settings” > “Wi-Fi” > “Menu” > “Advanced” > “Keep Wi-Fi- on during sleep“. This tutorial applies to Android OS Nougat. I have been advised to turn on background data on my Galaxy A5 2017 which will allow google keep app to sinc with Google app on my phone, I don’t know how to do it? Hi I’m using the Blu vivo iv phone and can’t seem to locate exactly where my data usage button is in settings. I have n samsung tab1 but struggling enable my background data to use the play store app please help. I have a Samsung Galaxy S3 But when I go to the settings it says that Cellular data is off please turn it on so plz help me to fix that problem in the version nougat 7.1.1. Hey I’m using the hisense u972 I want to update my apps via WiFi but it keep telling me to switch on my background data but it is switch on the whole time.At times it does update up until it reach the 100% and it starts over again but it doesn’t install the app plz help. How can I restrict or off background data in VIVO Y51L ? my phone always fails to sign in to playstore but background data is on ….what may be the problem? I have a Samsung Galaxy S5 and have gone into the settings, then to data, and Restricted Background Data. I rarely leave my home and have Wifi. But often when I have set my phone down for a while then when I come back to it, when I pick it up I notice the “4G”, then it immediately switches back to “you are now connected to wifi” and pulling down the tools from the top I find the mobile data has TURNED ITSELF on. I have US Cellular, and also think they are doing this to try to send me over my data limit. 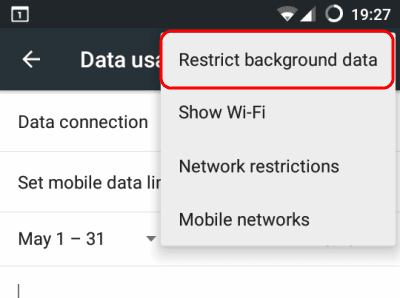 Don’t understand how possibly the Mobile data can turn itself on when background data is restricted. But ALWAYS turns itself on when phone is NOT in use, then signals to connect back to wifi when I handle phone again. This stops for about 2-3 days after I call US Cellular Customer service to complain, then starts up again. I will not take in to store as I cannot trust as they charged me a $100 “deposit” for an upgrade that should have cost a penny, and it took 6 months and my local tv news to get it back.